"I love mixing modern and vintage items together. I think it's cool to mix up the different eras." I love Sylvie's haircut, belt, boots and confidence to mix and match. 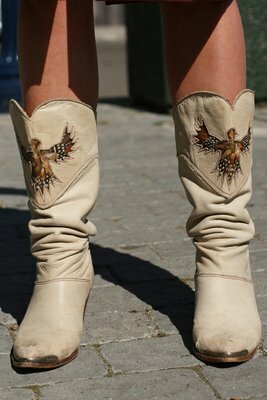 Her very awesome cowboy boots. Awesome belt!!! Where did she get it?